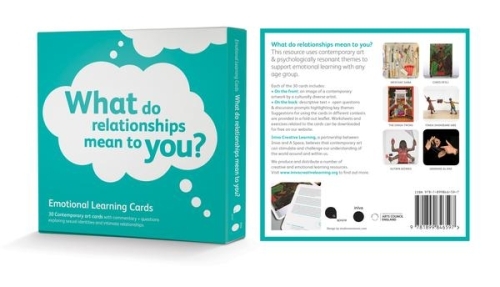 Receive 5% off when you buy any four sets of Emotional Learning Cards together, 10% off when you buy all seven sets. Boxed set of 30 Contemporary Art Cards with commentary + questions exploring key life values. Values reflect the principles we live by. They influence the choices we make, how we relate to others and what we consider most important in life. In the UK, the Department for Education requires that four values, defined as British values, are now taught in all schools as part on the national curriculum. Labelling key values as nation-specific raises intriguing questions around identity and belonging. 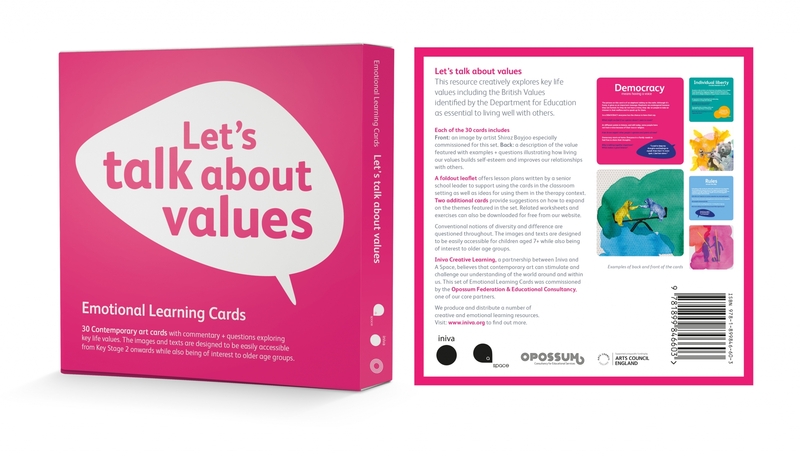 Let’s talk about values helps young people explore why we have values and what they look like in action, in order to build inclusive communities and live meaningful lives. Let’s talk about values is co-published by Iniva (Institute of International Visual Arts) and A Space, an arts and therapy service. It brings together 30 original lithographic images commissioned from artist Shiraz Bayjoo, reflecting the richness of global contemporary art, while the text written by A Space, reflects over 20 years’ experience of working in the field of psychotherapy. 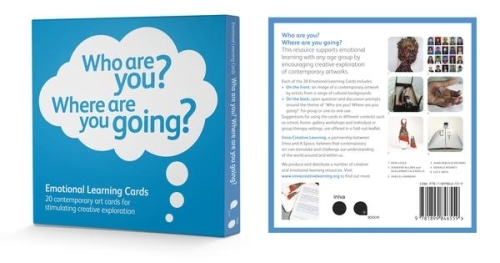 The set was commissioned by Opossum, a federation of primary schools in north London who will use the cards as starting point to support reflection, discussion and art making in the classroom, and are suitable for Key Stage 2 onwards. 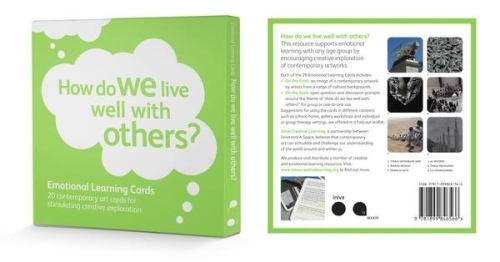 They can be used in a variety of contexts by teachers, therapists, mentors, psychologists and parents/carers. What do relationships mean to you?